Rain, rain, go away has been the chant lately for all spring sports. However, our softball team has weathered the storm and is showing promise as they head on into the VOL. 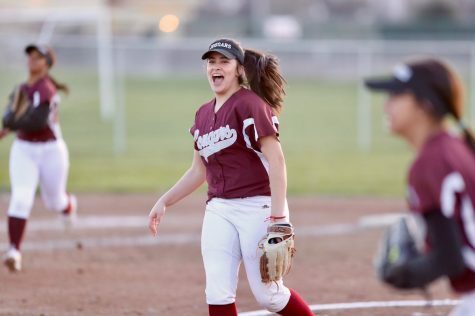 Coming off an exciting come from behind win against Central Catholic on March 26th, the Cougars go into this week and next against VOL powers Manteca and Sierra respectively. The Cougars are 5-7 overall and currently 1-3 in the league, with the lone league victory against Central Catholic. 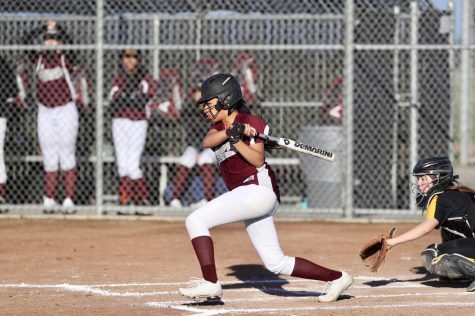 While the Lady Cougars have scored an impressive 119 runs this year, they have given up 121. Games have been mega scoring affairs, sometimes in their favor and sometimes not, but that hasn’t dampened their spirit. Head coach Mr. Wayman has seen the good and the not so good but remains optimistic. In his second year leading the program, Mr. Wayman used last year as the year for learning and to build upon that education to increase the chances for success this year and for years to come. Although the overall record is not the best on paper, the Cougars have several outstanding players all contributing to the team’s overall development and success. Junior Juliana Lassiter has a great deal of talent and continues to be the leader. Lassiter is leading the Cougars in hitting (.629 average), hits, runs, and RBI. She also anchors the infield at shortstop, one of the hardest positions to play. Along with Lassiter, Junior Sheree White and Senior Stephanie Barba help lead the Cougar offense as they are batting over .500 respectively. 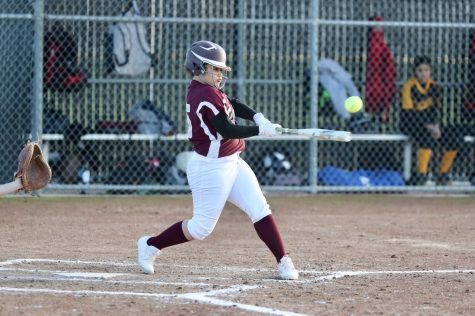 White has had multiple-hit games (more than one hit) in six of the nine games recorded on MaxPreps and Barba’s 15 hits this season includes her game against McNair where she had six hits in one game, an accomplishment that isn’t easy to do regardless of the level of play. Barba and White share pitching duties as well, and the two have combined for the five team wins (White three wins; Barba has two). However, the most prominent opponent they have faced has been the weather. As long as the rain stays away, the Cougars can look to get more consistent playing time and perhaps develop a better rhythm. The team goal of improving every day is evident each time the team takes the field. Currently, everyone in the VOL is chasing Oakdale for first place, but the Cougars have a great chance this week to make up some ground on the two teams ahead of them in the standings. Beating Manteca and Sierra this week and next will be a great achievement, yes, but it will also move the Cougars closer to their goal of winning in the VOL and making the playoffs. The Cougars take on Manteca today at Manteca and then play Sierra next Tuesday at Sierra. Photos courtesy of Wayne Thallender.